If you are searching for What Is Odin And How To Use Complete Guide of latest version of Odin v3.12.3 then you at right place. All Samsung Odin Collection latest will be linked to this post. You can download by visiting this post Samsung Odin latest. What is Odin and how to use it? 2 How to use Odin? 3 Whats is ID:COM in Odin? 3.1 What is PIT in Odin? 3.2 What is BL in Odin? 3.3 What is AP in Odin? 3.4 What is CP in Odin? 3.5 What is CSC in Odin? 4 How To Use Odin3 Complete Guide? Odin is a Samsung firmware flashing utility. It developed by Samsung to use internally to flash Samsung official firmware, official and custom recoveries, Unbrick Samsung Android mobile phone. This program can be run on windows PC only. Odin v3.12.3 is the latest version of Odin releases till today is that i found. Request:If you find any mistake or incorrect information in this post please don’t forget to write in comments. I will update the information with your name here in this post. After opening Odin v3.12.3 software (I will write tutorial on because this version is latest version of Odin that available) We can see some options let’s explain one by one. This option showing us Samsung mobile phone,s modem port number of connected phone in download mode. By default we can see 8 ports option on top of this software. This is normally appears in light gray color. But ID:COM will change color to blue after successful connection of Samsung mobile phone to PC. If computer already have installed Samsung driverssuccessfully. This is Odin internal tab and this will show software working log text. This log window can be seen under ID:COM when we select log from available three tabs like log, options and pit. This log window will show full working log text in it to see successful operation or any problem during Samsung flashing. Mostly we only reading this when we face any problem during Samsung upgrade or flash. This is second internal tab in Odin software. When we select this tab we can see some options (check boxes) under Options tab some options are very important so i will describe one by one. Auto Reboot: As its name we can understand that this option is a check box and if this options is checked phone will reboot (Restart) automatically after work complete. Re-Partition: This is also a check box and this options is very important to describe because this option can make so many changes in phone. If we select PIT file then this option will be ticked automatically because this option is only for re-partition of Samsung internal memory eMMC. We don’t need this option normally. 90% Samsung mobile phone can flashed without this option (without pit). But in some cases when phone,s internal partition have any issue with partition table. Then we can use PIT (Partition Information Table) file to re-partition internal memory. I will explain PIT in its own tab. F. Reset Time: This option is for reset flash counter of the phone to zero after successful firmware flashing. Normally this option is automatically checked. But if we need to clear flash counter to zero after successful official firmware flashing we must check it before start flashing. Nand Erase All: This option is unchecked in normal and we don’t need to check it. It is much risky lets explain what is Nand Erase All option and how to use Nand Erase All? What is Nand Erase All: Nand Erase All check box is to erase whole nand memory in Samsung phones that we are going to flash. This option will format all Samsung eMMC Nand Memory. This option can kill phone easily so don’t use it unless you know what your are going to do. If you done any mistake while using this option you will get killed phone in hands after pressing start if nand erase all checked. How To Use Nand Erase All: To use Nand Erase All you must have selected correct pit in pit option and double check re-partition is checked. If you selected wrong pit phone will be killed. Also you must have correct firmware selected to flash phone with nand erase all option checked. If you select wrong firmware there are 99% chances your phone will be killed. So i repeat again don’t use this option. If you still want to use nand erase all option then you must use correct pit file with re-partition checked. You must select correct firmware. If you make any mistake phone will not be able to power on after. Flash Lock: This option will tell the software to unlock the Odin flash lock on the Device to allow the Device to be programmed. Only certain Devices use this feature and this should not be used unless Instructed to do so by a knowledgeable person. T Flash: T Flash option in odin is for Samsung boot recovery via sd card. This option is checked when we are going to make Samsung boot able sd card to fix or unbrick Samsung dead boot devices. In this case we must have Samsung original boot recovery.tar file for the exact model witch we are going to unbrick. We must have same and full working phone in hands. This option is used in new Samsung Qualcomm based models that allow boot from external memories. I will explain how to recover Samsung dead boot phones with sd card but in other post i will try to leave a link in this post. So T Flash option is to make a boot able sd card from full working phone to unbrick other Samsung phone. Phone EFS Clear: This option is for unusable in latest version of Odin but in only Odin versions phone EFS (Encrypting File System) clear used for to erase all EFS settings and will make clean version of EFS. This option is very useful when we faces IMEI (International Mobile Equipment Identity) null, unknown baseband problems. Phones modem firmware version must be compatible with radio used in side the device. Phone Bootloader Update: This option is also disabled in new versions of Odin.This check box option will tell the Odin software to update phones bootloader with the file bootloader. This is a same as in PC bios update. This option is also unusable in new versions of Odin software. What is PIT in Odin? PIT stands for the Partition Information Table. This allow and tell Odin Software to make re-partition os Samsung eMMC (Embedded Multimedia Card) chip. You only need it if you screw up your partition table or if the firmware specifically requires it because of a change in the partition table layout. You must double check before using PIT while Samsung upgrade or flash process because if you select incorrect pit file there is a huge chance of killing your cellphone. So be very care full when you have selected PIT during flashing Samsung phone. When we click on Pit tab in Odin v3.12.3 it will show us a message “Do not use this tab. This tab is for engineers. Your device will be changed with pit in CSC file.” This means the firmware part CSC already have its own pit so no need to select pit. What is BL in Odin? BL is an abbreviation of bootloader. This button is for select bootloader part of firmware if we have this bootloader part in firmware folder.We can flash only bootloader file separately by selecting in BL option. What is AP in Odin? AP is known as PDA in old versions of Odin. It refers to the build version of the software or firmware. The main firmware part Home, Ap, PDA will be selected here in AP. 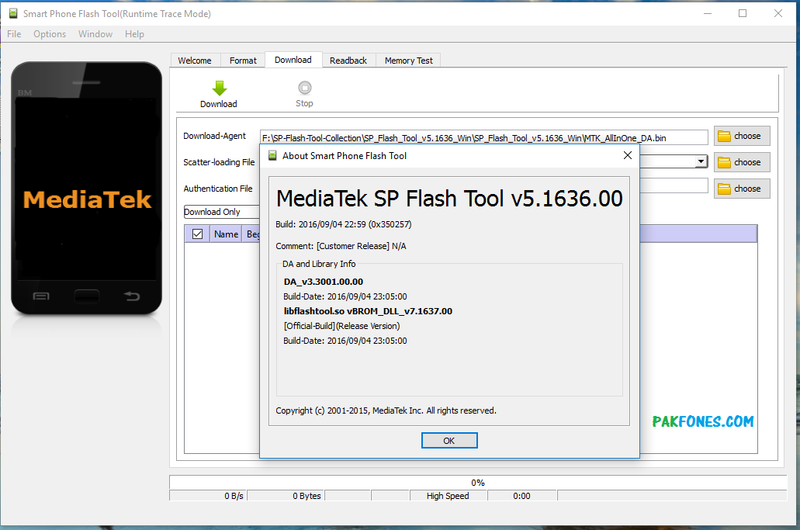 If we have one tar.md5 firmware file we will select here in AP to flash firmware. What is CP in Odin? The “CP” button is to flash Individual Section called modem in can be found in firmware. We can flash modem part of the firmware in this option.This button was previously labeled as “Phone”. In old firmware we will see this as Modem, Phone and in new firmware is CP. Example can be seen below in how to use odin3 part of this post. What is CSC in Odin? In my knowledge CSC stands for Consumer Software Customization It is specific to geographical region and carriers. It contains the software packages specific to that region, carrier branding and APN (Access Point Name) setting. What is Binary size in Odin? Binary size is to show selected binary size. This will show selected file size in MB,s as we can seen 4053MB. What is MASS D/L in Odin? to PC that will be shown in Mass Window. As i have connected two mobile phones to my pc and this show me different com ports numbers in port ID,s. To use Massive download we must have same Samsung mobile phone on all ports. I thin no need to describe these three buttons because the button text is much simple and everyone can understand the meanings of these three words. May be someone have a little confusion about “Reset” The reset button is to reset Odin configurations to defaults. like files selection, selected options in options tab etc. But i recommend to restart Odin software every time when we going to flash firmware. How To Use Odin3 Complete Guide? This part of my post is very important for people who not have experience with Odin before. But people who already have experience with Odin3 will also get much information from this post. Some important things that we need to flash samsung mobile phones. To flash a new official firmware or upgrade Samsung phone with Odin3 we need these. How to upgrade Samsung phones with Odin v3.12.3? Configure phone to your chosen setting given on screen. Request: I have spent years to learn this information that i have shared with you and it take my two days to compos this post. I never copied this information from any site. So please don’t copy paste this information to any other website without permission. If you really want to share this information to other website just give some time and write in your words. Check out our Terms & Conditions page. If you find any mistake or wrong information in this post please post in comments below. I will update the information ans soon as i can. Please Note:We are not responsible for any damage or illegal use of information given by us. We are posting to help people. Its up to you that you are using this information for positive work or illegal. Hi, dear Mr Jan i think you have not read all post, I already have written about these options. But if you wana learn more then you should subscribe my YouTube channel. I will try to make a videos tutorial about Odin also. I flashed a stock ROM on Galaxy S7, but it was not picking network signal because I picked the wrong Region files. Then I tried to flash my region’s files and it stuck in the middle for too long so I had to force stop it. And now Odin always stuck on Initialization not even starting flash. First thank you for all information you are sharing with us,second i want to know the steps to follow for recovering Samsung dead boot phones with sd card using T Flash option in Odin. thank you again.